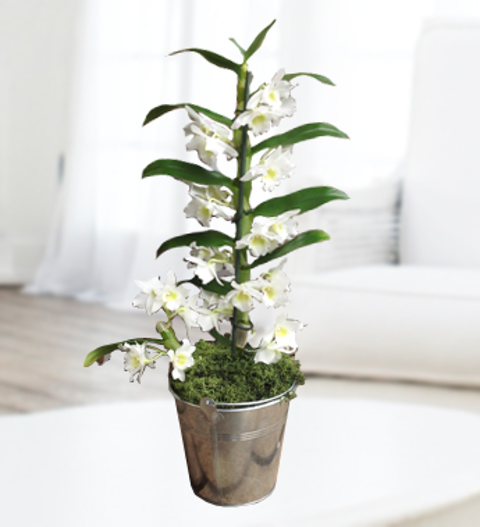 Our Dendrobium orchid is a gorgeous and sophisticated plant that will last. The orchid has a beautiful scent with stunning flowers that flower throughout the year. The Dendrobium orchid is easy to look after and is simply a perfect gift to send that is suitable for all occasions. The orchid is available for UK next day delivery and comes with a FREE box of Belgian chocolates. Chocolates may contain nuts.